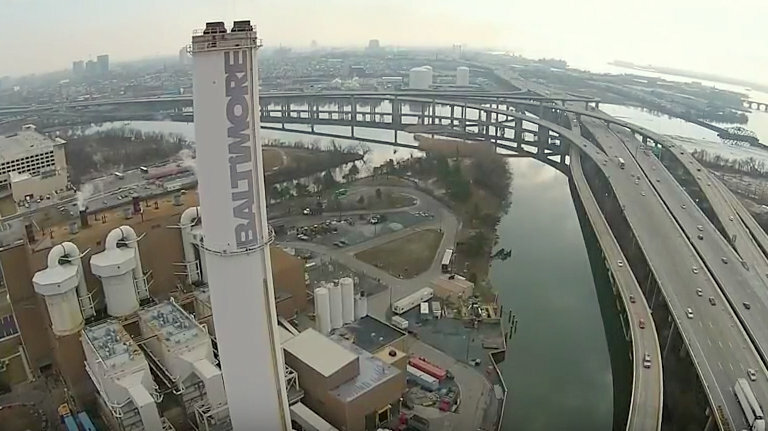 Maryland has issued $10 million in green energy subsidies to Baltimore’s Wheelabrator trash incinerator—the white smokestack off Interstate-95 with red letters that say “Baltimore” down its side—over the past six years, even though it is the city’s largest source of air pollution. A new City Council resolution aims to change that. “Our incinerators here in Baltimore City are getting subsidized while they’re spewing pollution into the air,” said Councilmember Mary Pat Clarke at the council meeting. “We don’t want the state of Maryland that we live in and are trying to clean up to be subsidizing practices that are not beneficial to the clean air we seek.” Clarke was one of 11 members of City Council to sponsor the resolution. During their first meeting of 2019, Baltimore City Council approved a resolution that calls on the state of Maryland to pass the Clean Energy Jobs Act. The act would change the renewable portfolio standard—the state policy that determines what is considered renewable energy and what qualifies for green subsidies—to exclude incineration. It also calls on Maryland to invest $27 million in workforce development for careers in sustainable industries, and to double the amount of renewable energy produced and used statewide, moving the state to 50% renewable energy by 2030. The Wheelabrator incinerator in Southwest Baltimore burns most of the city’s trash—some 700,000 tons a year. In addition to lead, mercury, and nitrogen oxide, it emits carbon dioxide, formaldehyde, and hydrochloric acid. These emissions have the worst impact on nearby residents. According to the EPA, Curtis Bay residents breathe in some of the most polluted air in the nation. Leon Brooks, an 18-year-old student at Watford’s alma mater Benjamin Franklin High School, says he’s seen the effects first hand. He lives in Baltimore’s Brooklyn neighborhood, just a ten minute drive from Wheelabrator, and his brother has asthma. Meleny Thomas, who organizes with United Workers and teaches Brooks through their South Baltimore Youth Corps program, is particularly concerned about the effects on youth like Brooks and his brother. “We’ve been talking to some of the coaches at [Benjamin Franklin] and they’re saying that they’re seeing a decrease in participation because of asthma-related issues and respiratory illnesses,” she said. Some of the chemicals incinerators emit, like carbon dioxide and nitrogen oxide, are greenhouse gases. “As they emit greenhouse gas emissions like other polluting facilities, they are contributing to climate change,” said Smith-Hams. Though the effects of climate change are global, Smith-Hams says they can be seen at the local level. “We had one of the wettest years on record in 2018, we’ve seen the floods, we’ve seen how it impacts communities on a day-to-day basis. 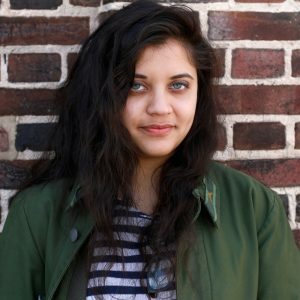 So removing incineration ensures that we are taking a strong step toward a 100% renewable energy future.” She says the Clean Energy Jobs Act would put Maryland on track to reach 100% renewables by 2040. Maryland is one of 23 states where incineration is eligible for renewable energy subsidies. Proponents of the practice say that it converts trash into a source of fuel. But Taylor Smith-Hams, an organizer with Chesapeake Climate Action Network, says incinerating trash is more polluting per unit of energy than using coal. In 2016, Maryland passed a version of the Clean Energy Jobs Act that compelled Maryland to move to 25% renewable energy by 2020. Last year, the updated Clean Energy Jobs Act that would double renewable energy requirements failed to pass in the General Assembly. But supporters say this year will be different. “We know that we have strong majority support in both the House and the Senate,” said Smith-Hams. 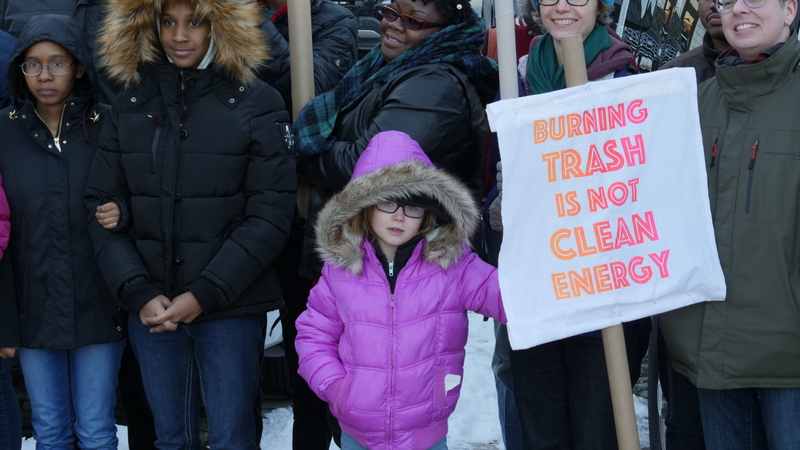 The Maryland Department of Energy has already called on the Wheelabrator incinerator to reduce its nitrogen oxide emissions by one fifth, but supporters of the council resolution say that’s not enough. “Wheelabrator Baltimore is an integral part of the state’s environmental and economic infrastructure,” Connolly continued.